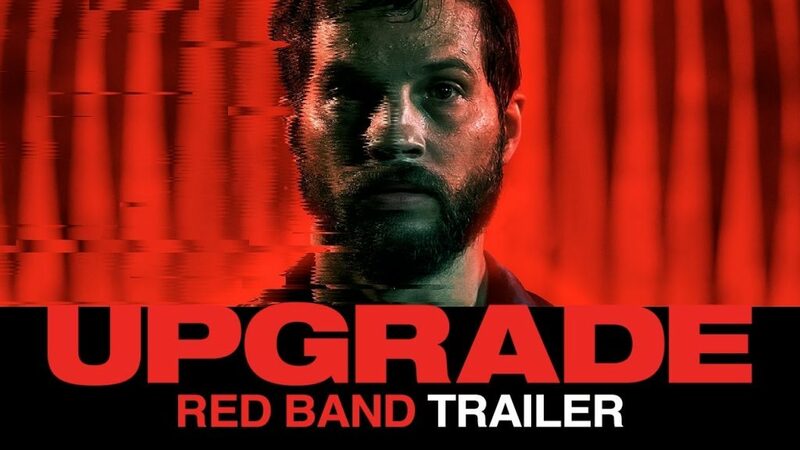 Upgrade is a film about Logan Marshall-Green’s Grey Trace after his wife is killed. Due to the attack, Grey is now paralysed but with the help of billionaire Eron, played by Harrison Gilbertson, Grey gets an artificial intelligence implant and now seeks revenge for the murder of his wife. This film is one of the biggest surprises of the year. The story is entertaining and will keep the audience interested every second of the film. I absolutely loved it. One of the most striking aspects of the film is the stunning visual effects work. Furthermore, it becomes even more impressive when the budget is as low as $3-5 million. Cinematography is also one of the film’s biggest strengths. Nearly every single shot looks beautiful. In addition, many of the action sequences are technically well-made and exciting to watch. Some of the scenes that stood out were the bathroom sequence and the final fight scene. Another aspect of Upgrade which makes the movie one of the best of the year is the unpredictability of it. One of the prime examples of this is the twist ending. No spoilers here, but it’s shocking, yet at the same time makes complete sense for the world built in this film. While we’re talking about world-building, it’s exceptional in this film. Details like the cars and houses really make the universe Upgrade builds seem believable. Another key factor in ensuring the story was effective was the character Grey. Logan Marshall-Green’s fantastic performance helps in creating a relatable and complex character. To add on to that, another key reason for the story’s effectiveness was the intense ending. After the twist, the intensity levels rise and I was on the edge of my seat. The character of STEM(the artificial intelligence implant) was also fascinating and added a lot to the film. Despite STEM being an interesting supporting character, none of the others really bring much to the film. Eron feels like a complete waste and the villains were generic and not developed enough. The mother or detective character were extremely forgettable and poorly written. All these factors made the film enjoyable. However, two of the most striking aspects to me was the subtle foreshadowing and Black Mirror vibes. One of the throwaway lines in the film ends up being important later on and foreshadowed the end of the story. It blew my mind. Moreover, the commentary on technology and the power it has created major Black Mirror vibes and I’m a fan of the show so it worked for me. The ending was also similar to the end of a Black Mirror episode. Overall, Upgrade is one of the most surprising and well-made films of the year. What makes it special is how unique it feels. It is one of the best films of the year and gets an A from me.